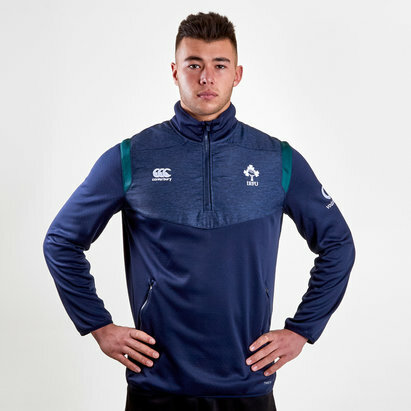 Whether it's out and about, in training or at the Aviva Stadium, make sure you look your best in this Ireland 18/19 Players Anthem Rugby Jacket from Canterbury. 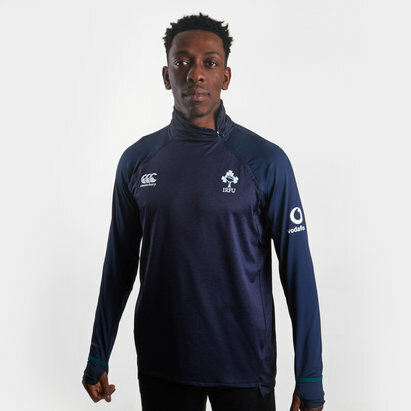 The international rugby team team Ireland have linked up with Canterbury for a second time, since 2014 this time, a partnership that looks strong. The two have collaborated to bring out a 2018/19 match and training collection. 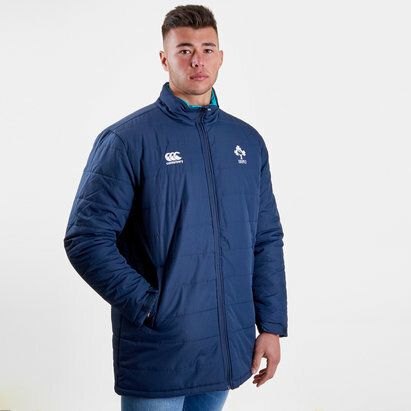 This jacket is a replica of the team's line-up anthem jacket with sublimated graphic to the front and back body.With VapoShield technology to keep you dry, the jacket has been designed to give maximum protection from the elements while ensuring full range of movement is retained - protection without restriction. The stepped hem with lower back eliminates garment rise, while the stepped cuff protects wrists and hands without restricting hand movement and grip; ergonomic pockets offer additional warmth. Stretch panel inserts to the underarm and shoulder, and elbow darts allow freedom of movement, while overlaid shoulder panels ensure you still stay dry. 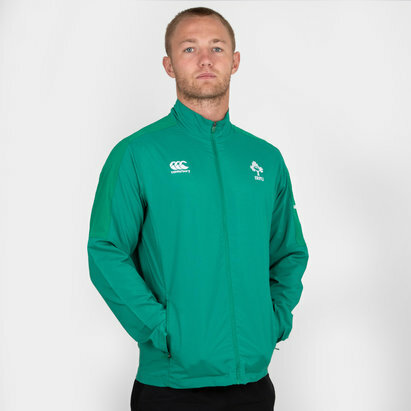 This jacket comes in green with darker green under the arms. 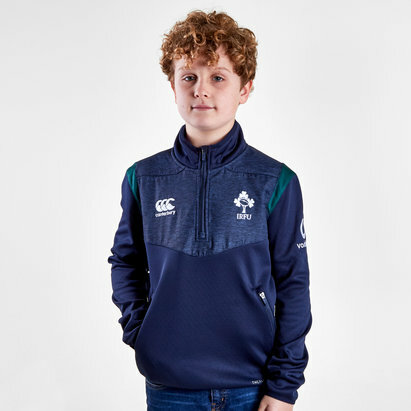 The new embroidery look CCC logo and Ireland Shamrock have been embroidered onto the shirt on left and right, respectively. 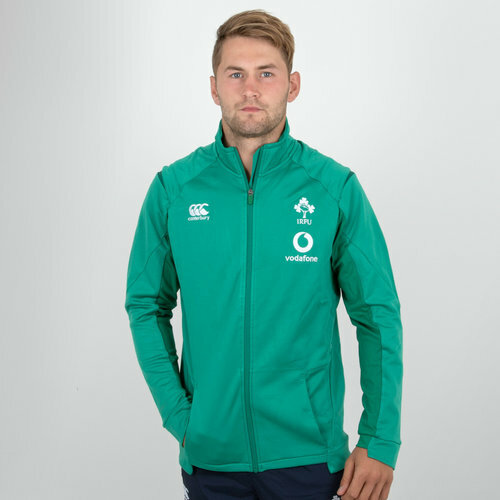 The team's partner, Vodafone - a collaboration since 2016, is embroidered underneath the shamrock. 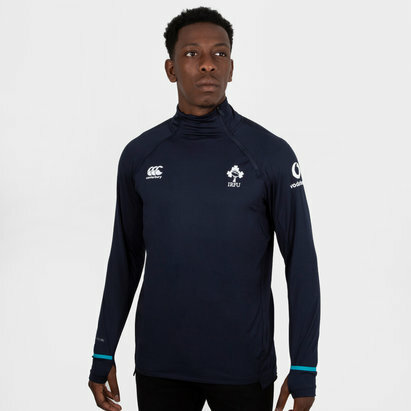 Keep it fresh in this Ireland Performance Cotton Rugby T-Shirt. Model's height: 174 cm/ 5'9"